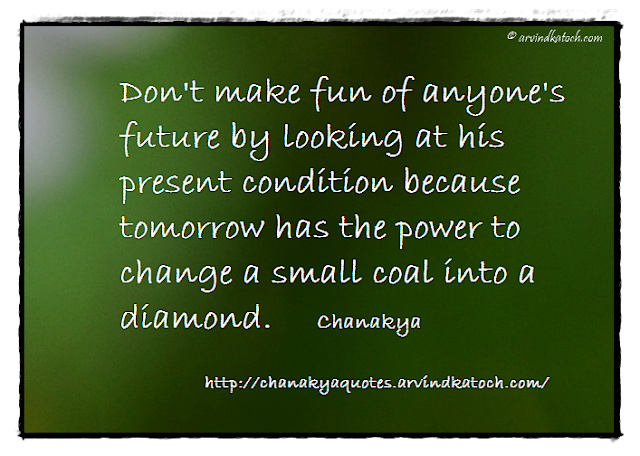 "Don't make fun of anyone's future by looking at his present condition because tomorrow has the power to change a small coal into a diamond. 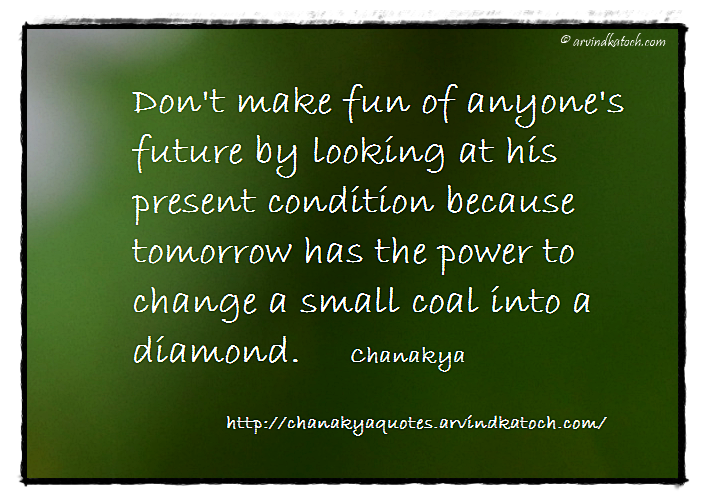 Chanakya"
Chanakya Wise Quote Meaning/Explanation- In this quote, Chanakya is highlighting the power of the future and change. When we see a person, then we are only looking at his present condition; however, we have no idea at which stage or position this person will rise in future. Therefore, we should never make fun of any person by considering his bad condition today.